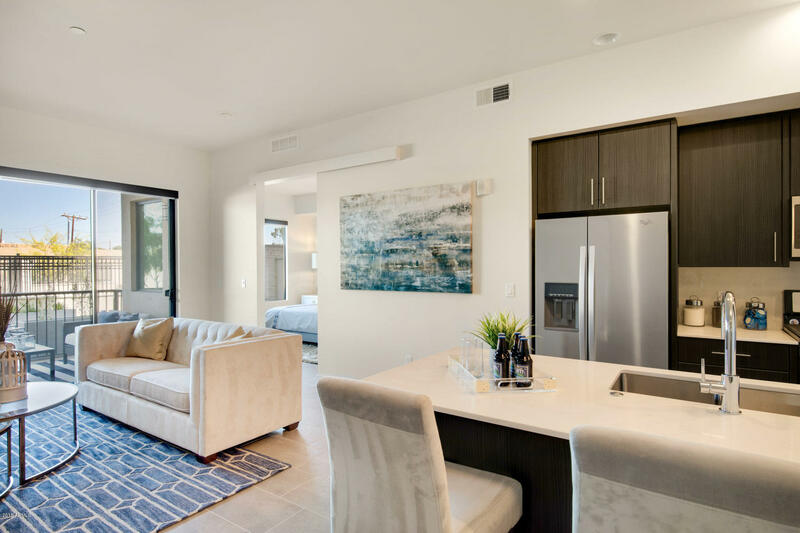 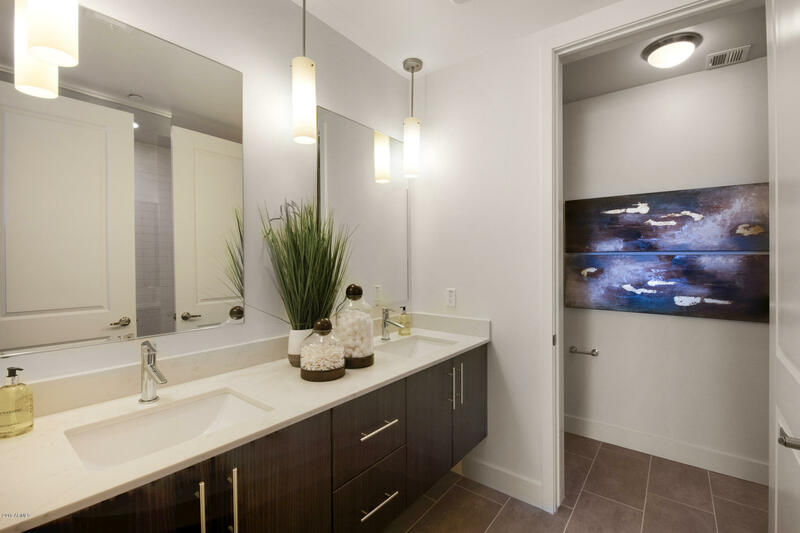 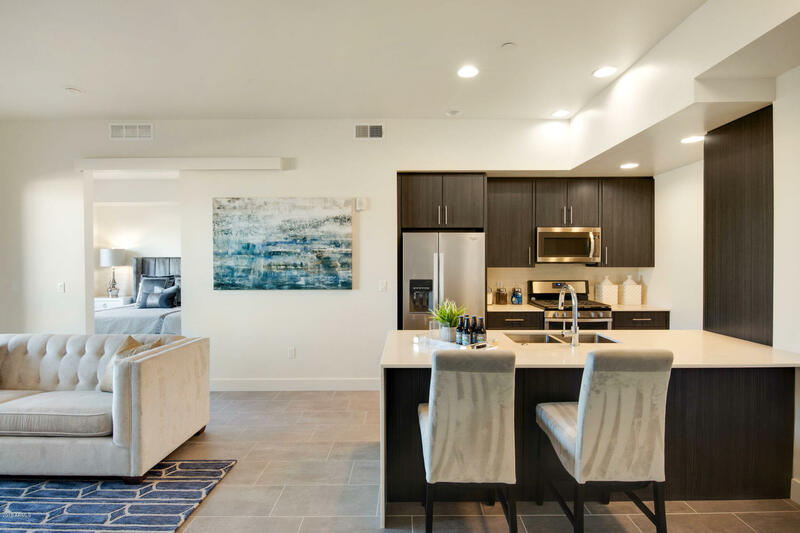 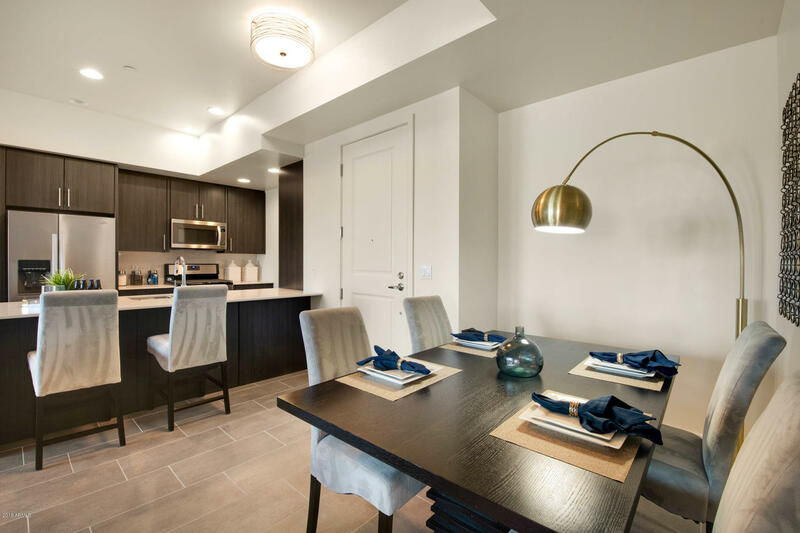 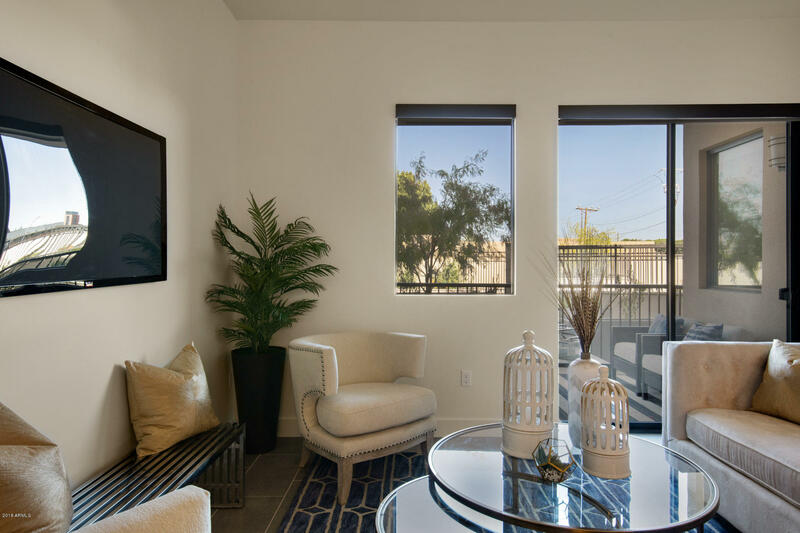 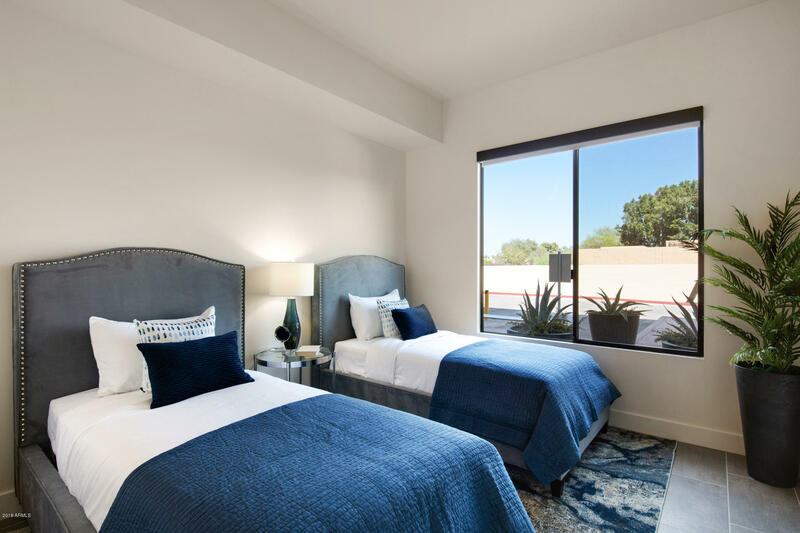 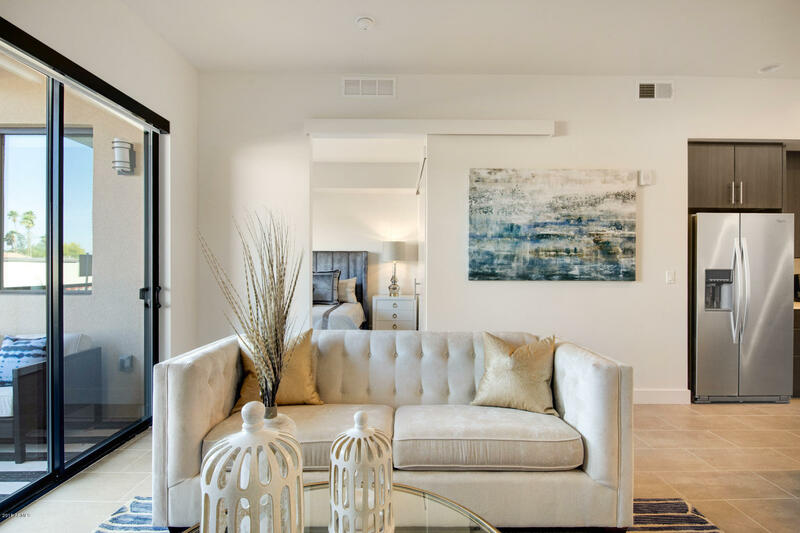 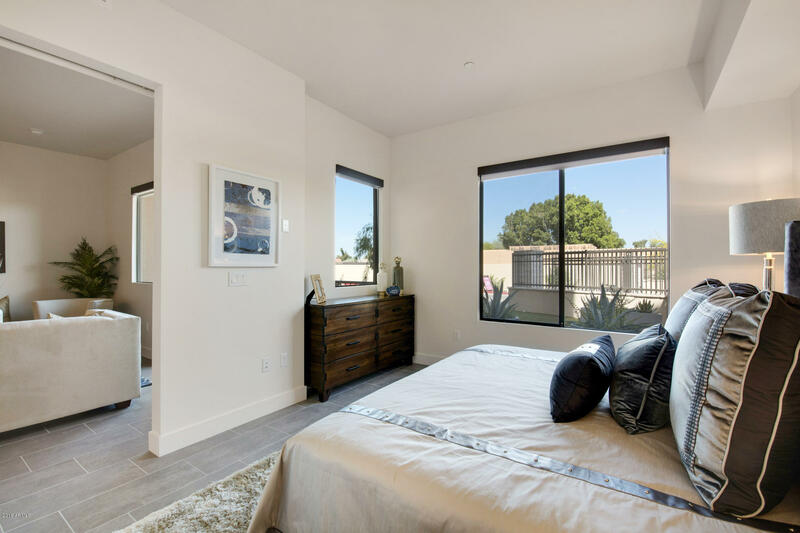 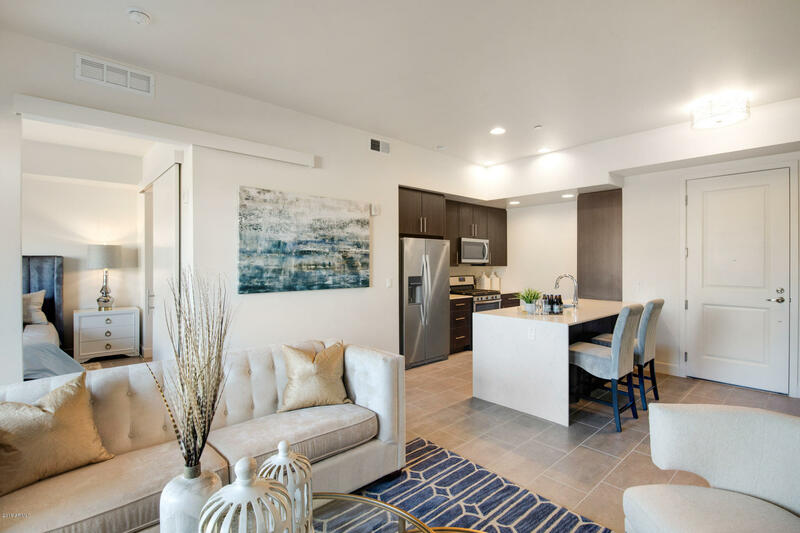 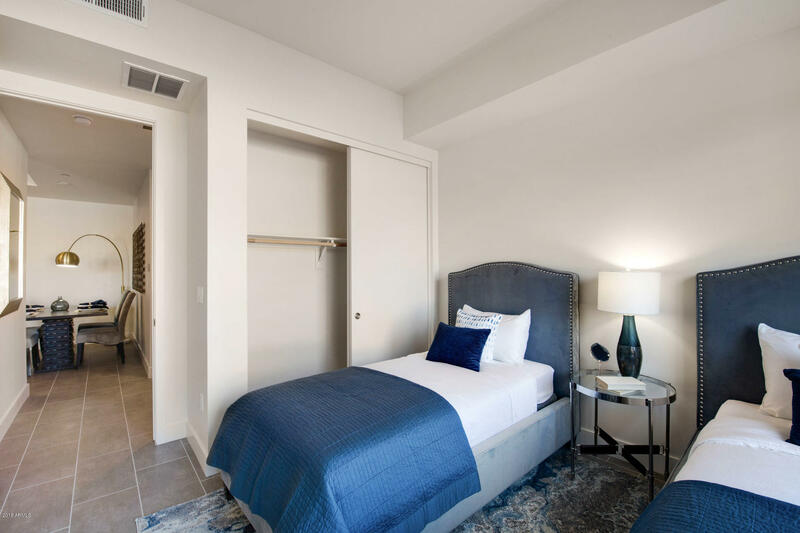 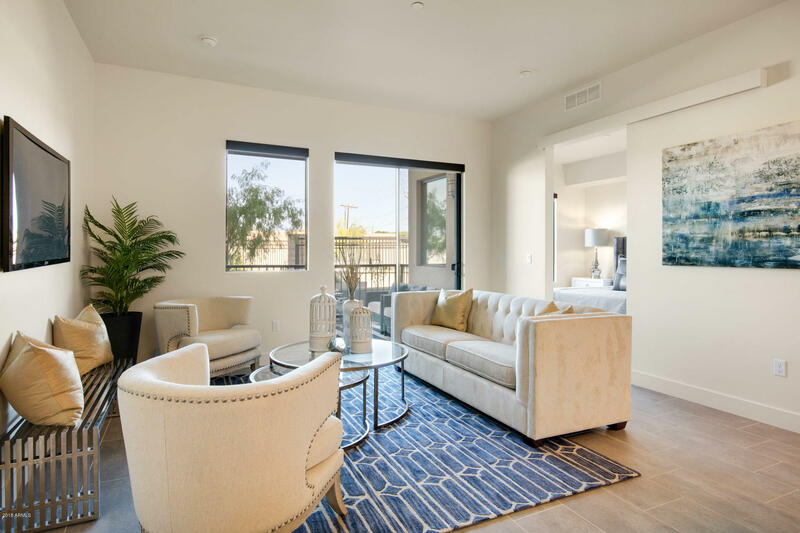 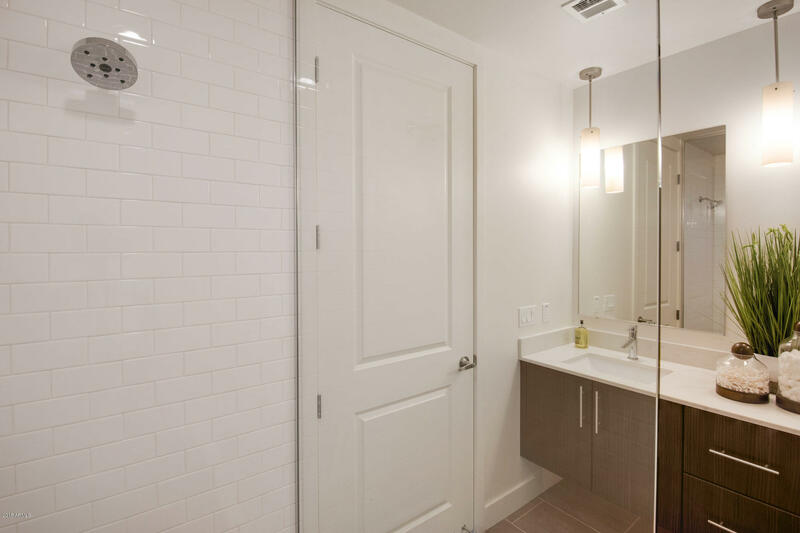 Inspire, ideally located in the heart of Old Town Scottsdale, where sleek contemporary meets modern luxury. 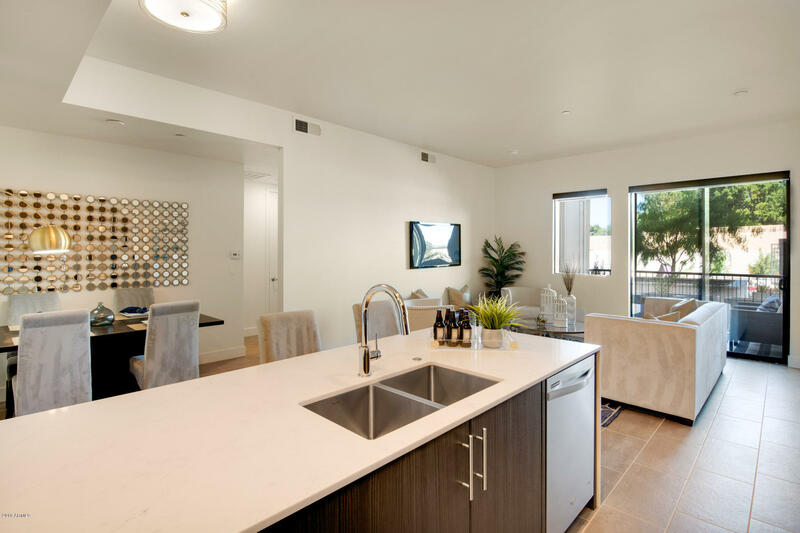 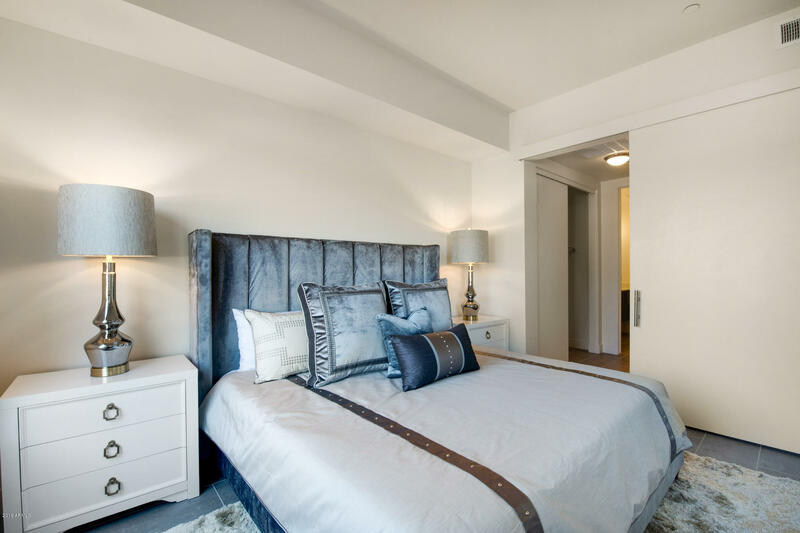 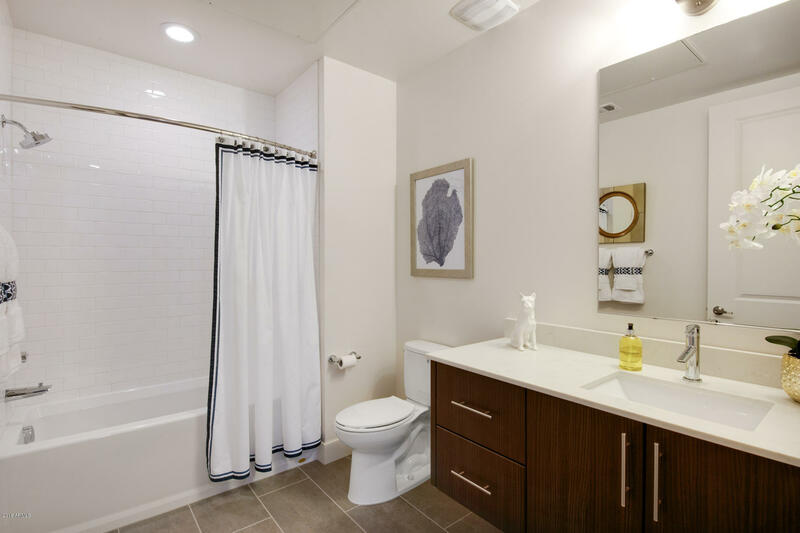 This 2 bedroom 2 bath unit is light and bright with oversized windows and 10 ft ceilings. 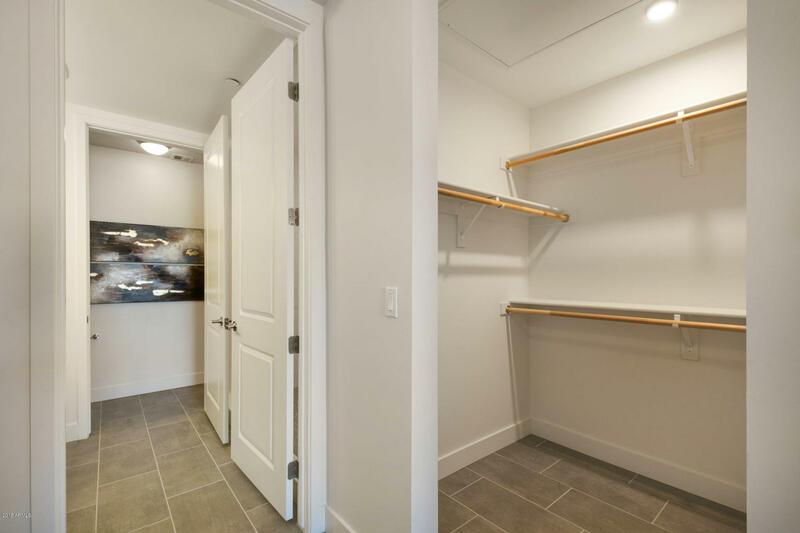 The perfect balance of finishes with stunning tile flooring, brown shaker cabinets and white quartz countertops with waterfall edge.. Gated with underground parking and elevator access to all floors. 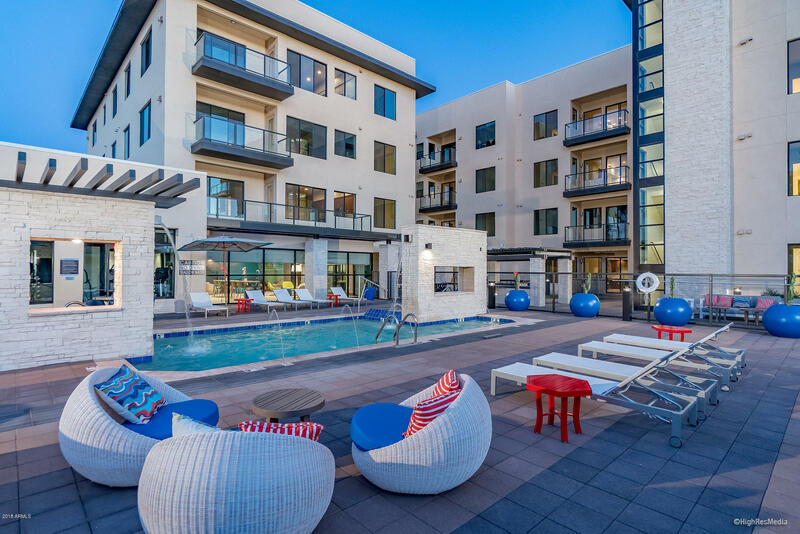 This 4 story midrise offers the best in resort like amenities, with pool, spa, fire features, grills, fitness center and lounge. 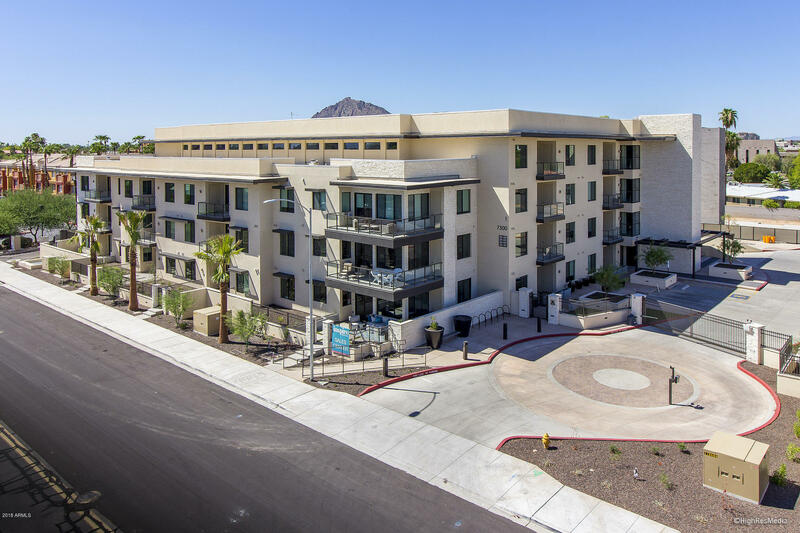 Walking distance to all the best of shopping and restaurants that Old Town Scottsdale has to offer. 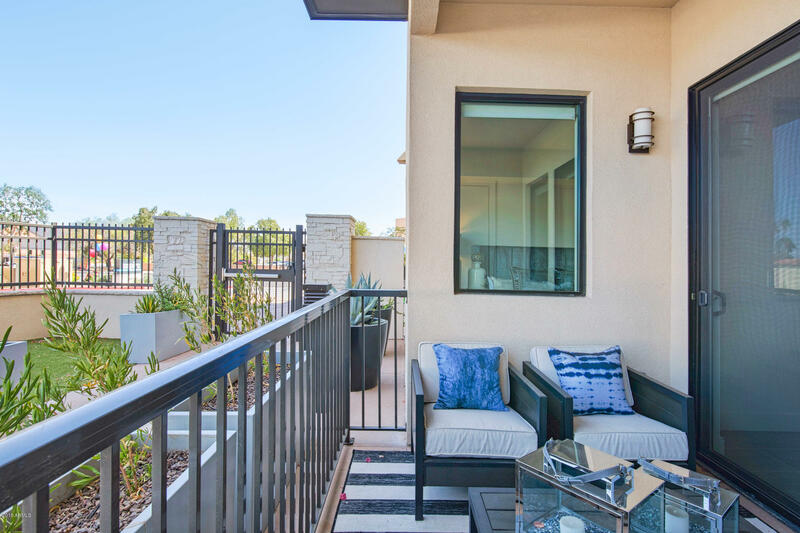 Minutes from Sky Harbor Airport and walkable to spring training games.